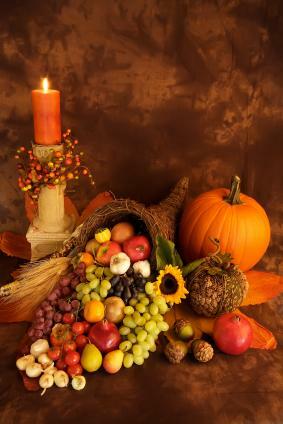 Whether you're having a small, intimate gathering or a huge blowout with lots of family and friends, Thanksgiving table decoration is an important part of getting ready for the celebration. Don't wait until Thanksgiving morning to figure out that the leaf for your table got lost in the last move or that you're short two table settings. 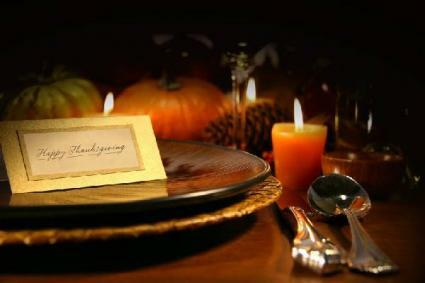 Consider how many people you're having over for dinner and make sure you have adequate seating, utensils, and settings. If you're having a large party, sketch out a seating chart in advance - this will help you make sure everyone is accounted for. If you want to sit the children at a separate table, don't forget to make sure you have everything they will need as well. Tablecloths are the obvious first step in Thanksgiving table decoration. Many people have a special tablecloth they keep for occasions like setting their Thanksgiving table, and if so, that's great. If you don't have such a tablecloth, or if you are having a large gathering and don't want to risk your special tablecloth getting ruined, there are many options available. You can of course leave the table bare, but Thanksgiving is all about rich, warm, comfortable colors, and a tablecloth is a great way to bring these themes in. 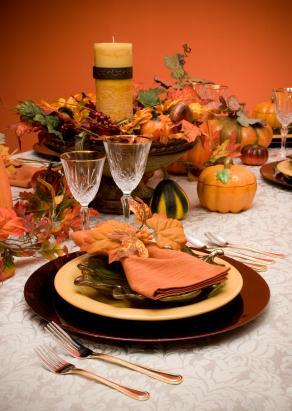 Look for shades of gold, yellow, red, brown, and orange when choosing a tablecloth for your Thanksgiving table. Of course, you can also go for plain white or beige, and bring in the colors of the season with your accessories. For tablecloths for the kids' table, why not forgo the fancy stuff and line their table with a paper tablecloth they can draw on? You can use drawing paper in any color - another good chance to bring in those rich fall hues - or even butcher's paper or newspaper. Provide them with pens, pencils, crayons, and markers and encourage them to play tic-tac-toe, or have a Thanksgiving picture drawing contest. They'll be occupied and quiet, and you'll be happy! This is where you can really have some fun when setting your Thanksgiving table. Make your own napkin rings using seasonal materials, like acorns, by simply attaching them to plain napkin rings you already have with some craft glue, Use dried fall leaves as place cards on your table. Look for place mats, napkins, and candles in seasonal colors to spruce up your table and set the mood. Accessorizing for Thanksgiving doesn't have to cost you all your Christmas present money either. Discount stores like Marshall's and T.J Maxx have great name brand, cut price decorating materials and Target consistently has fun, high quality seasonal decorating pieces for any budget. And of course, don't underestimate what you can create with a little bit of imagination and elbow grease - homemade seasonal accessories add a personal touch your friends and family will love. 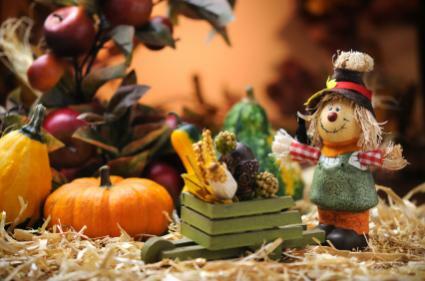 Making your own Thanksgiving decorations each year or even buying a new decoration each year is a great way to start a new family tradition. Each decoration will represent the memories that were created that particular year, so you can share those stories with friends and family members alike.